As the human race emerged from the Middle Ages into the start of modernity, we learned more about the world around us. We also took some wild flights of fancy, however. The humanoid creatures we imagined living around us were bizarre, and in some cases horrifying. 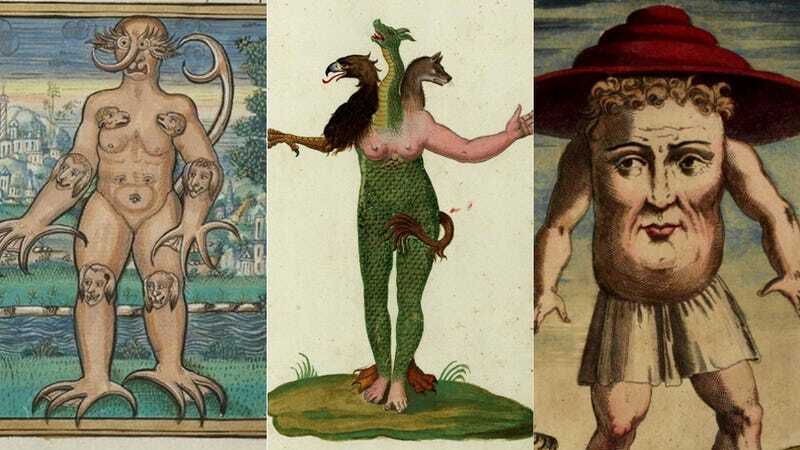 See the most disturbing creatures of the early modern age for yourself. Warning: Some of these pictures may be NSFW! According to Pliny the Elder these race of people live in the All-Ears Islands off of Scythia and using their large ears as blankets in the night. Once an angry bishop fish could find the location of the seamans' daughter on a boat, warp her to his lair, absorb her energy and send the dead body back. One of these cryptids was caught and taken to the King of Poland and shown to some Catholic bishops. These bishops granted to the fish to be released, then it made the sign of cross and disappeared. Another one was found off the coast of Zealand, Denmark in 1546.